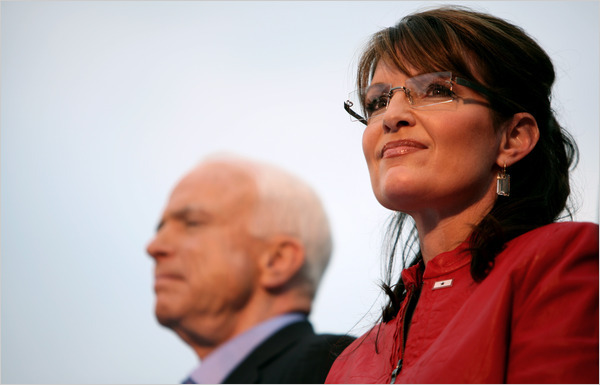 Former Governor Sarah Palin of Alaska on the presidential campaign trail in September 2008 with Senator John McCain. “Going Rogue,” the title of Sarah Palin’s erratic new memoir, comes from a phrase used by a disgruntled McCain aide to describe her going off-message during the presidential campaign: among other things, for breaking with the campaign over its media strategy and its decision to pull out of Michigan, and for speaking out about reports that the Republican Party had spent more than $150,000 on fancy designer duds for her and her family. The most sustained and vehement barbs in this book are directed not at Democrats or liberals or the news media, but at the McCain campaign. The very campaign that plucked her out of Alaska, anointed her the Republican vice-presidential nominee and made her one of the most talked about women on the planet — someone who could command a reported $5 million advance for writing this book. David Plouffe was campaign manager for President Barack Obama during the 2008 presidential campaign. Plouffe appeared Nov. 1st on NBC's "Meet the Press" to discuss politics and his new book. Barack Obama’s campaign manager accused former Alaska Governor Sarah Palin on Sunday of co-opting the Republican Party and driving it toward the ideological fringe. In an appearance promoting his book on NBC’s “Meet the Press,” David Plouffe said that Democrats should “thank John McCain for picking [Palin]” as his running mate. Pointing to the 2008 vice presidential candidate’s role in driving attention and support to Doug Hoffman, the ultra-conservative candidate in the New York 23rd District special election, Plouffe insisted that Palin-led forces were purging the GOP of moderates. And he wasn’t upset with the development. 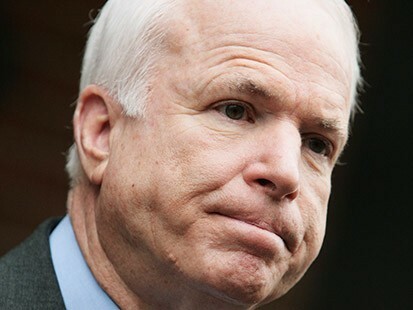 Sen. John McCain acknowledged on Sunday tensions between his vice presidential choice, Sarah Palin, and his top aide, Steve Schmidt, during his failed bid for the White House last year, yet said that the former Alaska governor gave a boost to the campaign. Sen. John McCain ought to be pretty nervous about the revelations to come in Sarah Palin‘s upcoming memoir. How far will Palin go in blasting not just McCain’s staff — which everyone expects, given how badly it treated Palin — but the presidential candidate himself? Palin could have plenty of campaign-trail stories to tell about McCain. And this is actually the kind of inside politics that could be interesting for the general public to see. Did McCain try to get Palin to back off being the main spokeswoman for the ticket, especially after the vice presidential pick re-energized the party in late summer of 2008? How much did McCain and his staff control what Palin said in her speeches and, if so, what parts did he want her to go soft on?